You are here: Home / Blog / Blog / Moving Ahead! Villa C Concrete Pour of Basement is Complete! Moving Ahead! Villa C Concrete Pour of Basement is Complete! 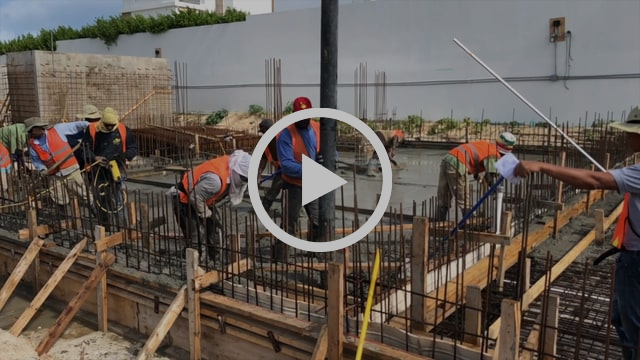 Positive strides are being made at Tranquility Beach Anguilla as the energetic team pushes ahead in pouring the foundation for Villa C.
https://tranquilitybeachanguilla.com/wp-content/uploads/2018/03/dd646d70-a03f-4057-be87-306d2c081a99.jpg 3000 4000 Verna Jerome https://tranquilitybeachanguilla.com/wp-content/uploads/2017/10/logo-color.png Verna Jerome2018-03-13 20:13:212018-03-13 20:30:54Moving Ahead! Villa C Concrete Pour of Basement is Complete! Tranquility Beach Anguillla: Progress Update Mid December 2017 Tranquility Beach Anguilla Ground Breaking Ceremony!